Global Spas, Stove and Sunrooms deals in Barbecue Grills from Solaire Grills and Big Green Egg. Grilling is a time honored tradition in our nation. Whether you use gas or charcoal, firing up that grill is a relaxing, enjoyable way to spend an afternoon or evening. That said, there are awesome options on the market today, available at Global Spas. 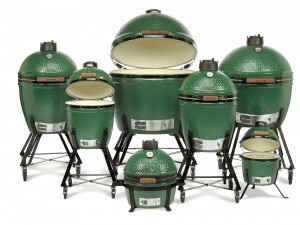 BIG Green Egg Grill, Smoker and oven The EGG is a unique barbecue product, with unmatched flexibility and capabilities that surpass all other conventional cookers combined. It is a smoker, a grill and an oven and you can cook literally any food on it year around, from appetizers to entrees to desserts. Solaire Infrared Grills Solaire Infrared Grills preheat in only 3 minutes, and cook about twice as fast as more traditional units. You´ll be finishing dessert before the neighbors even start to eat (unless they have a Solaire too!). With this speed, you can make grilling an everyday occurrence rather than just a weekend event perfect for today´s busy lifestyle.